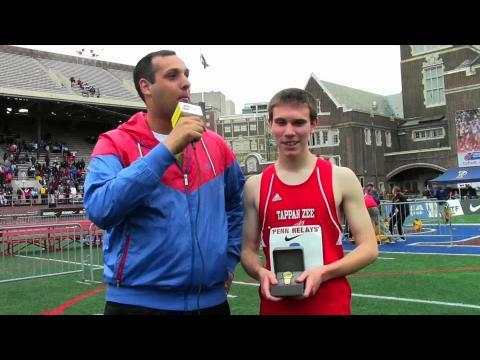 Andrew Hunter took down the National Sophomore Class Record en route to his first Penn Relays watch. In our newest feature we are announcing our Top 10 Performances of 2014 by Virginia athletes. Check these out throughout the next couple days and see who and what made our list! 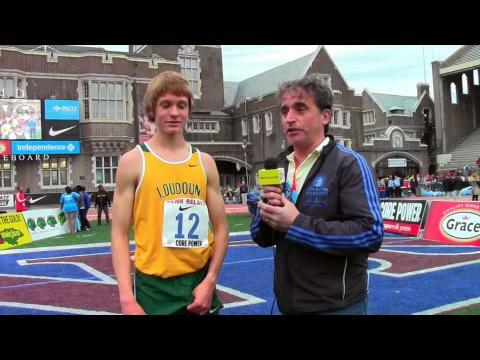 So far this calendar year it has only taken Loudoun Valley sophomore Andrew Hunter 20 laps to lead the state both in the 1600 and 3200. Earlier this month, in his first major race of the outdoor season, Andrew ran his way onto the top of the state leaderboard with his 4:14.60 1600. PENN RELAYS TIME! 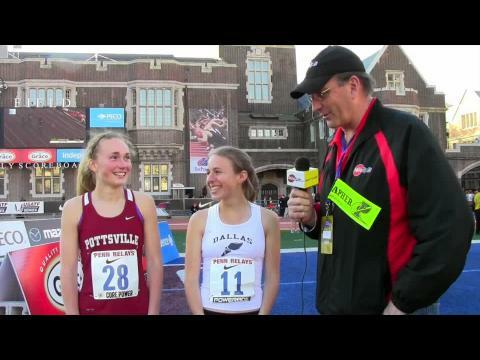 Great performances were put forth by New Jersey Gals on Thursday at the Penn Relays! I have focused results for every New Jersey performance here! In a meet where more athletes compete then the modern Olympics, Virginia athletes did a fine job of making sure they were noticed. This included three champions, two state records and some very impressive performances. 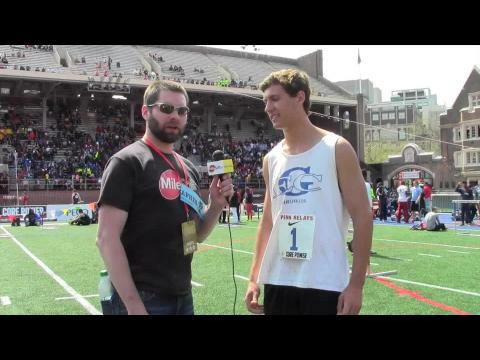 Go Pro Shots of All-Va Athletes competing at the Penn Relays Carnival. 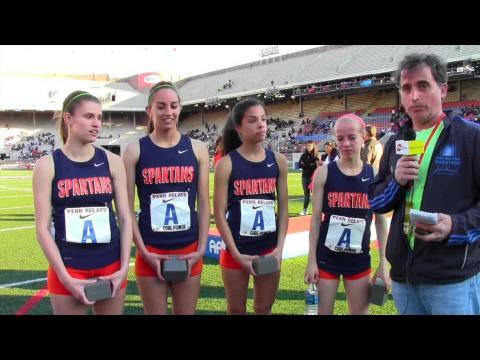 Check out Saturday's live updates and highlights from all high school races and Championship of America events at the Penn Relays. With the season now officially over it is time to go back and award those most deserving for athlete of the year overall and specifically in their discipline. Check out the Top 10 Photos on Friday, Day 2, at the Penn Relays. 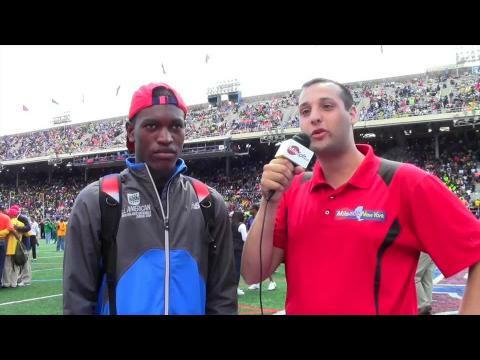 Check out Thursday's live updates and highlights from all high school races and Championship of America events at the Penn Relays. 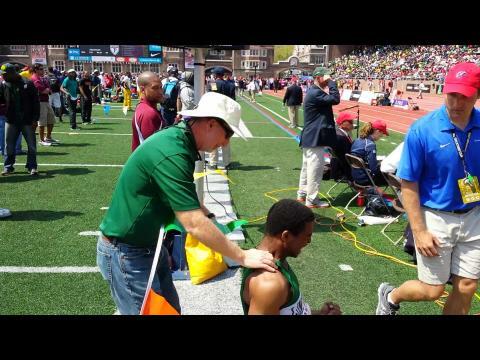 Stories by Steve Mazzone from Friday's events at the Penn Relays. This past week history started happening again, this time it was Caroline Alcorta's turn to join an elite group of athletes to rank themselves in the top two all-time in the state of Virginia. She joined Chantel Ray (Hurdles) and Matthew Zajac (Discus) who have already made history this season. Harrisburg junior Sierra Brabham-Lawrence is a hurdles. Everything from 55 and 60 indoor, to 100, 300 (and hopefully next year, 400) outdoor. She made the semi's in AAA as a sophomore... and as a junior, medaled with a 7th place finish in the 100. Because of budget cuts, she did not run indoor until this past season, and in her first crack at the shorter race, she won a state title and tied the state meet record. At NBNI - fighting an illness - she made the semis. This spring she immediately went in the top of the 100 hurdles rankings, and is currently PA#2. And her 300m Hurdles from Pan-Ram remains PA#1. This season she added the triple jump, and in her first competition went to PA#1. She is currently PA#2. 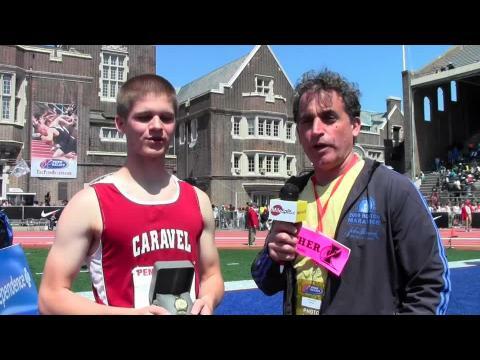 Acceptance lists have been released for the high school individual events for the 2014 Penn Relays Carnival on the last weekend of April at Franklin Field in Philadelphia, Pennsylvania. Olivia Baker drops a 2:02.55 anchor split as Columbia roared past Edwin Allen JAM for the title. 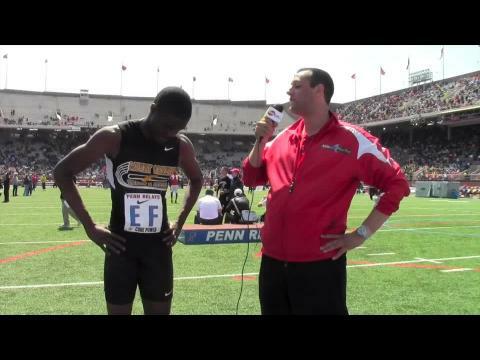 Today it was announced the Penn Relays will be available LIVE exclusively on Flotrack! 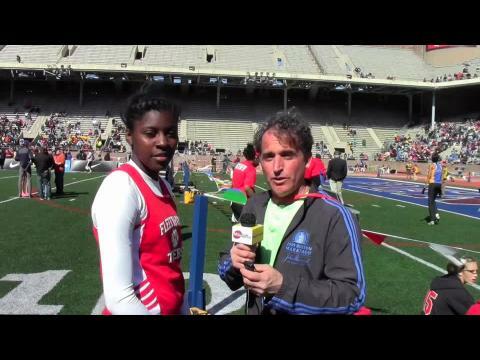 Central coverage page and links for the 2014 Penn Relays Carnival at Franklin Field in Philadephia, Pennsylvania. 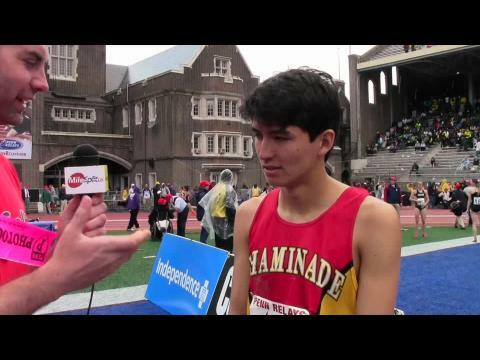 Chaminade gave it their all and finished 2nd with a great race. 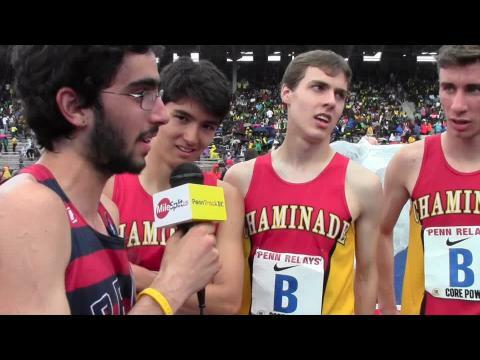 Team Alum Thomas Awad interviewed the team. Elk County Catholic senior Kennedy Weisner enters her final year of XC with a champion's resume. Her best year to date was last year as a junior when she won her first state cross country title - this one in the inaugural Class A Championship. Weisner also qualified for her first Foot Locker Nationals. During indoor, she was invited to her first Millrose Mile, and also to the Brooks PR meet, an elite gathering in the Northwest. She came back in outdoor to capture two state AA titles, winning the 800 and the 1600 - a very tough double. She began her final XC season at PTXC-5, setting a course record of 17:49. An injury hurt her chance to repeat in Class A in XC, and sidelined her until December. 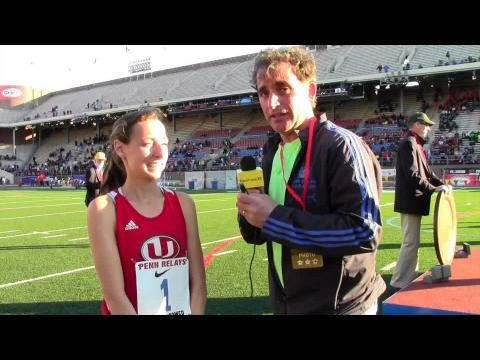 She won the Millrose Trials Mile and finished 2nd in the Millrose Games. 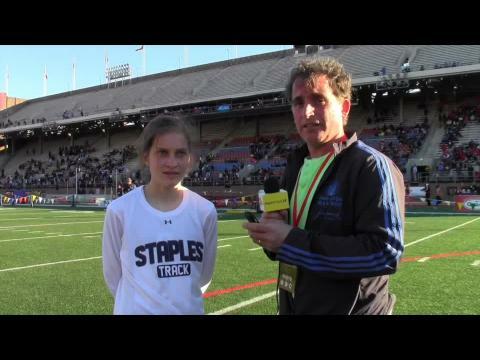 This is her third year qualifying for the Penn Relaya Carnival Mile - taking 5th as a sophomore and 3rd as a junior. 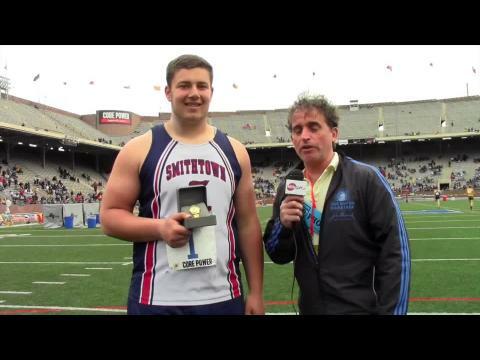 Luke used a big kick to hold off Ian Milder to take his first Penn Relays title. Rai finished as the first American in the race. Day two at the historic Penn Relays Carnival. The boys get in the mix this time round and we saw some fantastic girls finals for the Garden State. Check out the Top 10 Photos on Thursday, Day 1, at the Penn Relays. 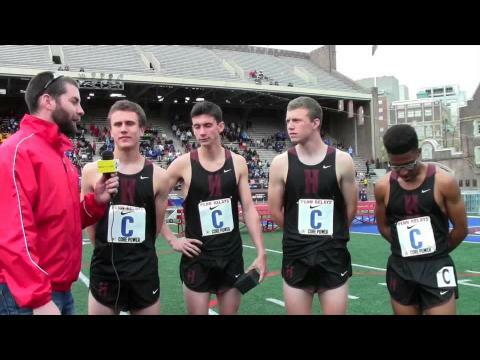 Check out Friday's live updates and highlights from all high school races and Championship of America events at the Penn Relays. Check out the Top 10 Photos on Saturday, the final day, at the Penn Relays! 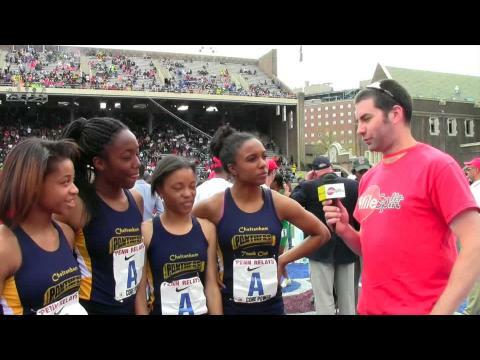 Read the top stories from Saturdayat the Penn Relays. Stories by Steve Mazzone. Kelly made up some big ground on Calabar's anchor but ran out of track. Great effort for the boys from NY. 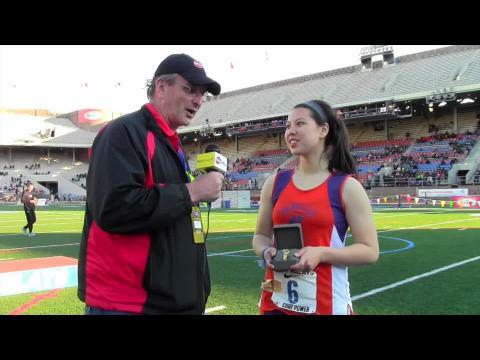 Stories by Steve Mazzone from Thursday's events at the Penn Relays. West Springfield and Caroline Alcorta do it again! This makes their third major DMR title in a row and it doesn't hurt having Alcorta as you 4:46.46 anchor. They are the defending outdoor and indoor national champions in this discipline and now Champions of America. In arguably the largest weekend of the regular season, MileStat has unprecedented coverage slated. 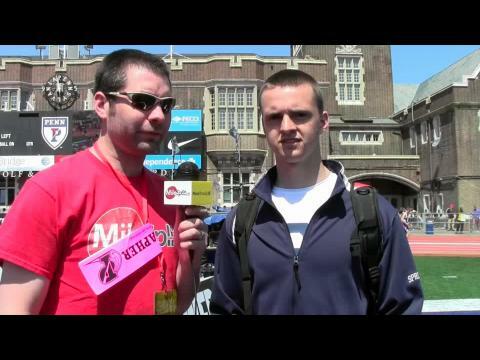 This includes live video coverage from MileStat.com's Elite Track Classic, live coverage at the Penn Relays and photo or video coverage from multiple meets as well. This is your one stop location for all coverage for every meet. 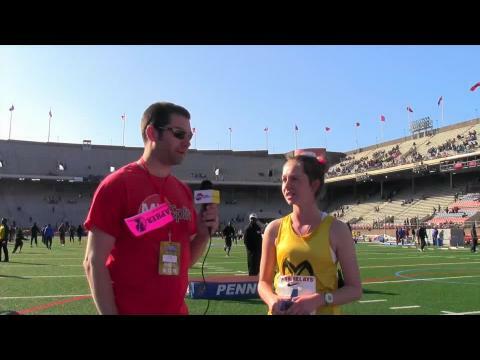 MileStat is live and on site at the 120th annual Penn Relays Carnival. Keep checking back here throughout the entire day as this will be the one stop location for all VA results and performances. Jones was the runner-up and first American in the triple jump. After two very successful days at the Penn Relays, the VA teams are looking to do some very big things on championship Saturday. Some of the key teams to keep an eye on are T.C. Williams in the boys COA 4x100 and Blacksburg in the boys COA 4x800. In one of the largest weekends in this sport annually we saw some of the best performances of the entire year. Vote here for which one you feel is the most impressive and best complete performance! 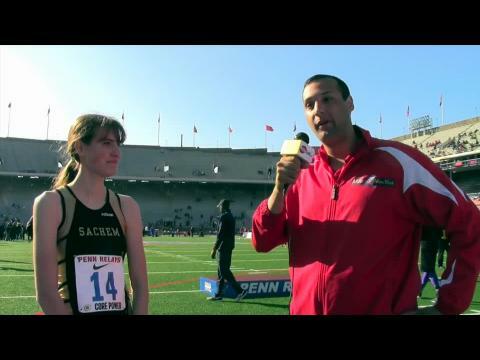 Penn Relays to be live streamed by Flotrack! PA's Tessa Barrett, Abington Heights, withdraws from Thur's HS 3K to spend time w/her father who's battling a serious illness. 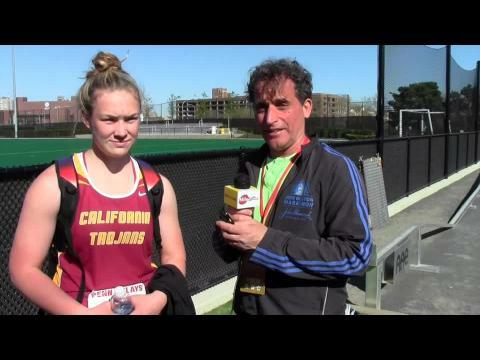 Preview of the high school girls 400 meter hurdles on Thursday at the 2014 Penn Relays. With hundreds of events going off over the three day span it's not always easy to find what you're looking for. We have created this condensed schedule below so you can easily find all the action you want to see! With only days, no hours, separating us from the 2014 Penn Relays Carnival it was time to see how the Blacksburg Bruins were preparing themselves for this prestigious meet. Both the boys and girls 4x800 teams are competing, both out of the small school section, and are looking to not only move into the Championship of America final but to also place well in that the following day. 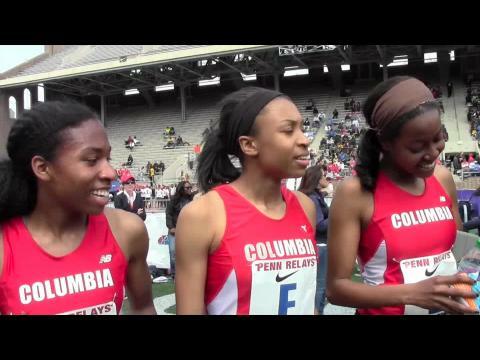 Along the Fence proudly presents the Columbia HS Championship of America 4x800m team and top American Long Jumper Kayla Richardson as our honorees here on Feats of the Week. 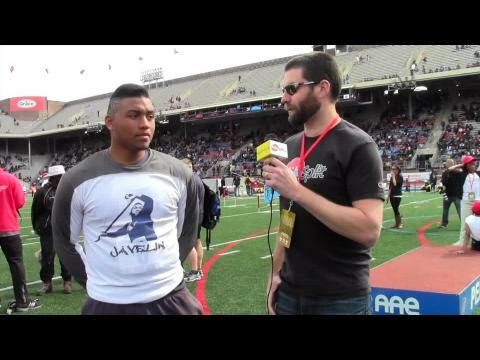 In this special video edition of the column, you'll hear first hand from these remarkable athletes about their Penn Relays experience. Tony Russell split 2:01 on the anchor leg to secure the title for his team. Pendleton alumna Jasmin Stowers (LSU) made history at the Penn Relays as the first female to win three 100-meter hurdles titles in the meet. First High School Registration Deadline: Monday, March 31 at 2 PM. All relay and individual entries must be entered and registration completed by this deadline. Individual marks for registered athletes can be updated until noon on Sunday, April 6th. DMR and 4x800 updates may be updated until noon on Sunday, April 13th. 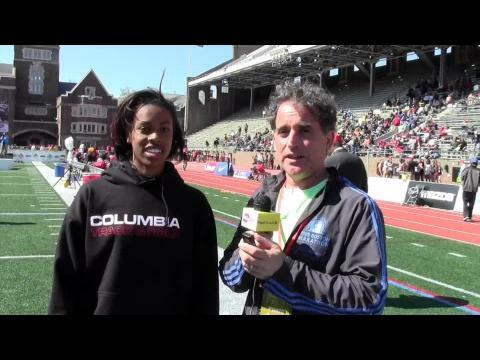 With only weeks to go the office of The Penn Relays Carnival officially announced the accepted entries for the individual events to be held the last weekend in April, 2014. Katie won the HS racewalk in the same race her sister Maria won the OD racewalk. Lexington senior Thomas Harris talks about choosing George Wasington and looks back at his time as a Wildcat. Friday and Saturday action of the meet. Thompson was the runner-up and first US finisher. 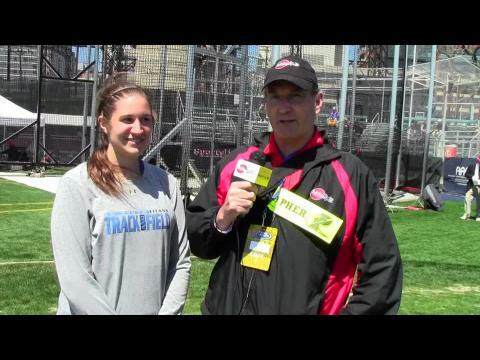 Previews of PA athletes at the Penn Relays. S.C. high school level athletes accepted into Penn Relays. Mathew threw a VA all-time record to record the win at Penn. His first at a huge invitational. 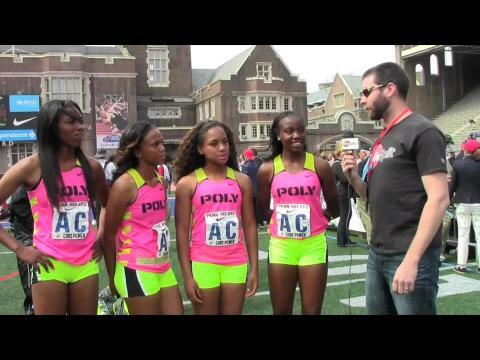 The girls from Cali threw down a season best time to finish as the first team from USA. Pendleton alumna Jasmin Stowers won the 100-meter hurdles trials earlier today at Penn Relays in Philadelphia in 13.14 seconds. Stowers is looking to make history and win her third hurdles title at the meet. Chris was the runner-up and first American. Bishop Hendricken, Hope, Barrington and La Salle will all be sending teams to this week's meet, beginning on Thursday morning at Franklin Field. 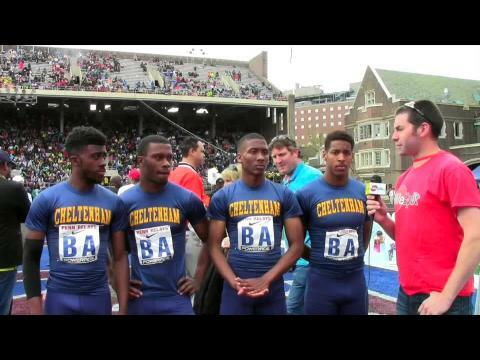 Cheltenham rolled with the big boys and smashed their school record in the process. 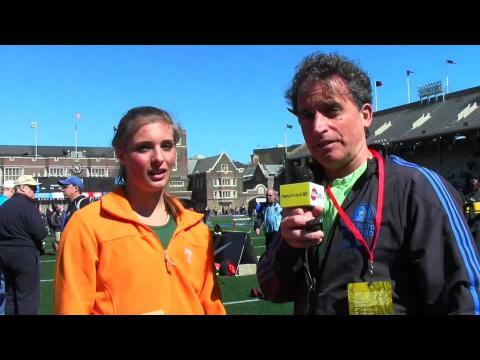 Ashleigh set a huge 35 second PR en route to her Penn Relays win. Cheltenham finished 7th in the COA in 47.11 and won the Tri-State in the same time. 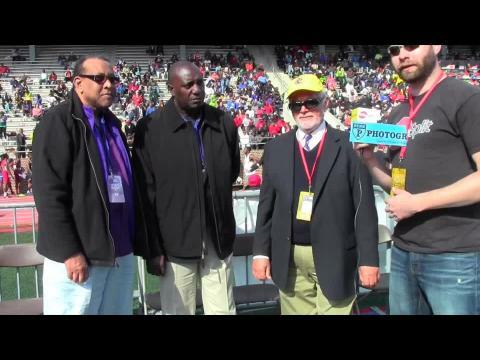 MileSplit caught up with Donovan Davis, Dave Myrie and Noel Spencer on the origins of the Jamaican arrival in Philadelphia in 1964 and the amazing competition and excitement that has continued to the present day.